We got this! Call us anytime, day or night. Whether it's installation, repair, or maintenance, we can help! Michigan summers can be hot! Our expert technicians service all brands and models. For over 160 years, Hutzel Plumbing, Heating and Cooling has been a well-trusted, locally owned business serving Ann Arbor and the surrounding area. 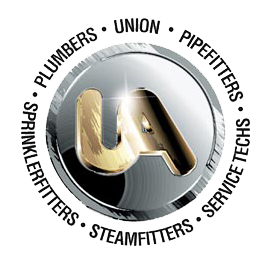 Our all-union staff are licensed, factory-trained, and highly experienced. And we provide reliable, around-the-clock service to homeowners, property owners, and businesses. We're here 24 hours a day, 365 days a year, ready to help with your plumbing, heating, or cooling needs. Some say it's Murphy's Law. We think it's just dumb luck. Either way, it does seem a little uncanny how plumbing, heating, and cooling emergencies happen when you're least expecting them. That's why we offer around-the-clock services for homeowners, property owners and commercial building owners. The key to extending the life of your heating or cooling system is inspection and maintenance. With regular visits, our factory-trained technicians can spot problems before they happen. And if you need a new system, an upgrade or a system repair, we're experts at that, too. Plumbing can be complicated. Clogs, leaks and water pressure issues are all signs that you might need some help. Our licensed and experienced plumbers can identify and fix existing problems. We also install new systems including hot water heaters, sinks, faucets, toilets and showers.